The Kanawha Valley Arena Resort is a unique Attraction and Lodging Destination with a Western Theme located near Dugspur, Virginia and the Blue Ridge Parkway. We have modern lighted arenas with a commercial kitchen and covered pavilion to enjoy your food and drink. We host motorsport events such as mud bogs, drag racing & ATV rodeos . We also host our huge annual Motorcycle Rally every summer. We have a Carriage Museum that showcases many historical carriages that will amaze the young and old alike. We also provide wagon rides, bonfires and onsite fishing. We offer lodging accommodations in our new 12 room hotel that has individual themed rooms with microwaves and refrigerators. We also offer a large modern campground with full hook-ups and a bath house. 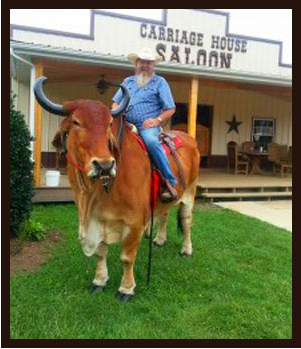 Our western saloon provides great food, beer, wine and entertainment. We also provide horse stalls in our large barn to accommodate your horses. You are welcome to attend our events or you can rent our facilities to host your own event. Right down the road we also have a private farm with 130 lush secluded acres where the huge historic Stillhouse Manor house is located overlooking the creek waterfront and the stone picnic shelter complete with grill. There is also the Stables Cottage on the second floor of our large modern barn event venue. The Stables Cottage has two bedrooms and overlooks a pond and the creek. This is a great place to host Weddings, Group Events, Corporate Retreats, Motorcycle Groups and Family Vacations. Whether you want a traditional Wedding or a Western Theme Wedding, we have the facilities where you will be proud to host your family and friends. 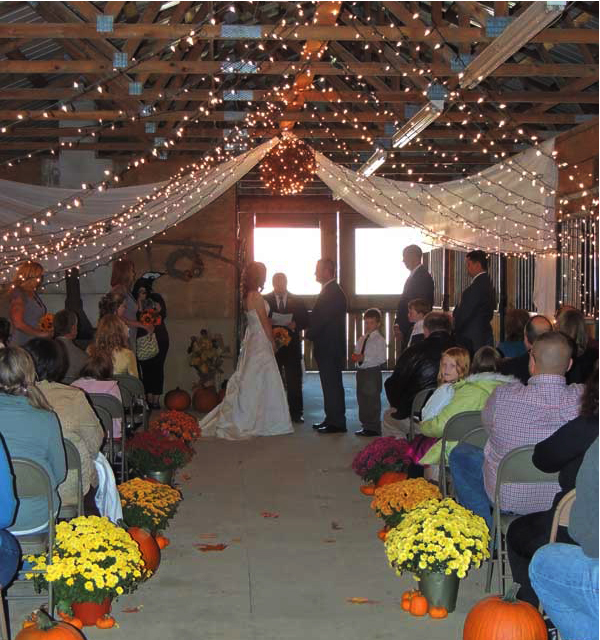 Kanawha Valley Arena Resort is the perfect location to have your Blue Ridge Mountain Wedding, since we offer all the amenities needed to host all of your Wedding Events. We have enough quality lodging for over 50 guests and several Venue choices for the Rehearsal Dinner, the Wedding Ceremony and the Wedding Reception.